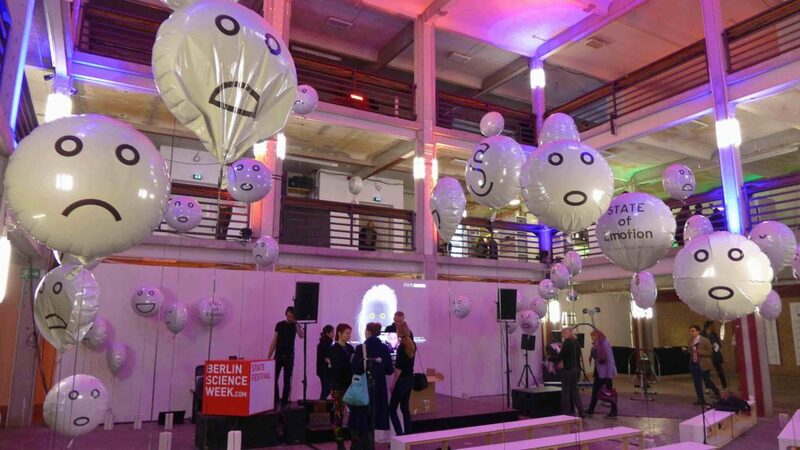 In November I had the good fortune to attend STATE Festival, a festival for “Open Science, Art and Society” at Kühlhaus, Berlin. When Berlin turns on a good festival, you really feel it. I had the same range of happy emotions and visceral engagement coursing through my body at spectacular sound festivus Berlin Atonal in 2015. Now in its second year, the theme for this year’s STATE was “Emotion: The Sentimental Machine.” Scientists, researchers, artists, makers, musicians and thinkers from Germany and beyond contributed to what was an incredibly exciting and progressive program, split into several strands: a two-day conference (where research papers were shared), public talks, interactive art installations, workshops, films, and an extensive pre-program of pop-up labs and workshops, where inter-disciplinary collaborators were brought together to work on various projects, some with seriously fascinating implications for society and culture. 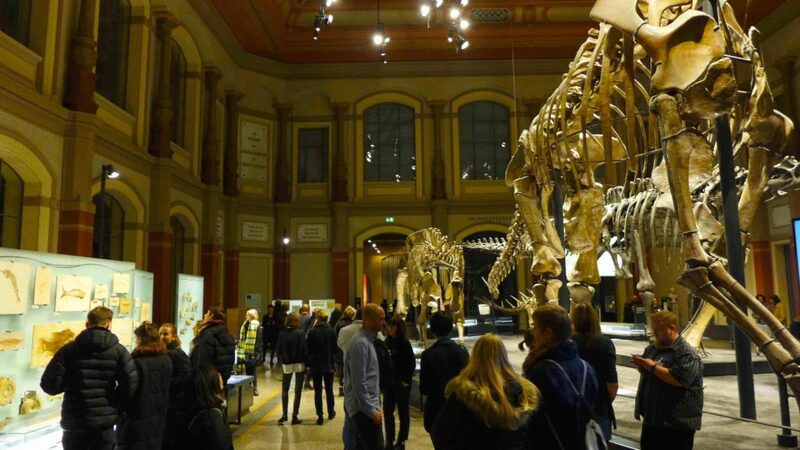 The opening night “Warm Up” event manifested as A Night At The Museum, with the main room of Berlin’s famed Naturkundmuseum (“Natural History Museum”) opening to festival guests and the public. 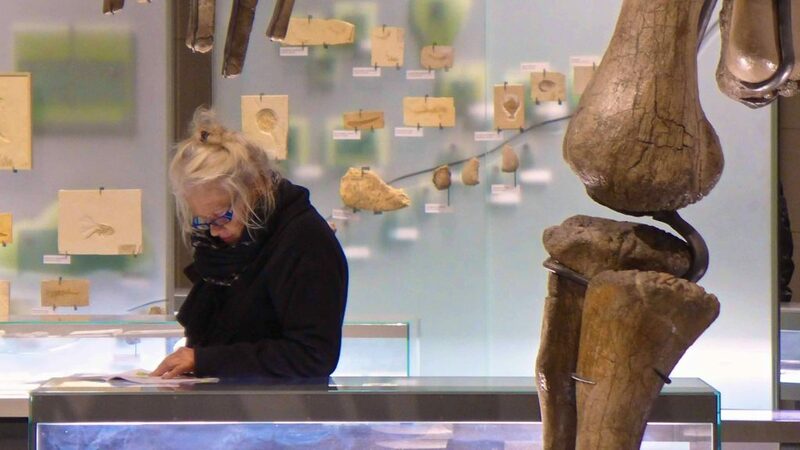 Wandering among the interactive installations, beautifully displayed fossils and spectacularly lit dinosaurs, I half expected the prehistoric beasts to come to life in a ‘ta-daa’ moment of event-appropriate surprise. Once the jungle-esque soundscape by DJ Grizzly subsided, key note speeches began. We listened to STATE’s founder Dr. Christian Rauch, (a physicist with a PhD in nanoscience and excellent taste in electronica), the museum’s Head of Science Programme & Public Engagement Dr. Katrin Vohland and primate research scientist Dr. Katja Liebal, who gave a glimpse into her animal emotions research project with primates. The night set the tone for what was an incredibly exuberant, optimistic and progressive few days: the festival celebrates not only science but its intersections and cross-pollination with other modalities and disciplines – namely the arts, philosophy, medicine and design. Oh – and the public. “Affective research” was high on the agenda with a number of conference panels devoted to the neuroscience behind affect and empathy. Creative research methods were also advocated – including communicating findings via storytelling and creating “narratives” around data. 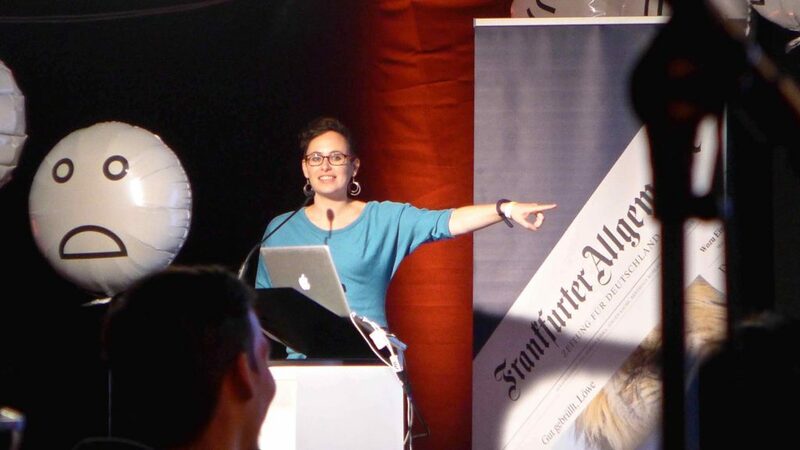 Open source science and “citizen science” were also embraced, with Katrin Vohland openly declaring Naturkundmuseum’s advocacy for public involvement in scientific “deliberation” during her opening night speech. Word was out: the scientific community needs to change tack if it’s going to be relevant in – and make an impact on – today’s “post truth” society. Could science be letting go of its long-held aversion towards ‘affect’? Is “subjectivity the new black”? Listening to the STATE 2016 discourse, the answer is a resounding ‘yes’. As we poked around the exhibits opening night, it felt like a dance party for curious people, observing, listening and discussing in unadulterated awe and wonder. It was nice to feel that way again – like delighted, curious children discovering the world for the first time. One of the projects that piqued my curiosity was ‘Digesting The Anthropocene‘, devised by American “experimental philosopher” and conceptual artist, Jonathan Keats. Namely as it made manifest the link between mind and body, and the capacity we have for intelligence using our senses (an embodied experience of knowledge, as opposed to purely a cognitive one.) 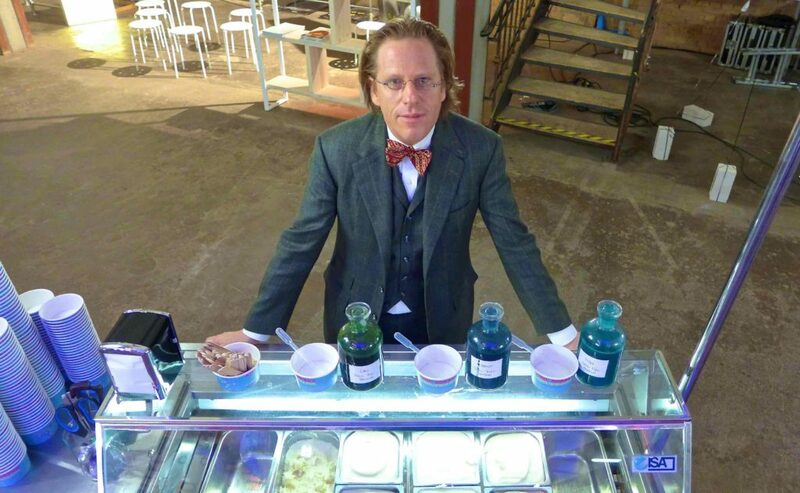 It is based around his theory of “gastronification”, what he calls “an alternative tool for visualising big data”. Green = low greenhouse gas emissions. Turquoise = high fossil fuel emissions. The hope being (from my interpretation of it anyway), to create a more inclusive public conversation around the problem of climate change – ie a deeper, less fraught engagement with the problem based on intuitive perception – so that taking action might become a reality rather than a political football. To, as it were, create a solution through shared ‘gut feeling’. It’s a very exciting idea, especially as the scientific evidence around mind/body medicine continues to grow, and the bias against ‘affect’, subjectivity and emotion within the scientific world, diminishes. Listen to my full interview with Jonathon Keats at the audio link below. Seeing Werner Herzog’s documentary about the digital age, ‘Lo And Behold: Reveries of the Connected World.’ Sad, funny, frightening, and vintage Herzog. Words, images and sound (c) Megan Spencer 2016. Many thanks to the STATE Festival team for support, and to Jonathon Keats for the interview.